Headstone available in 24 x 18”x 3” with a 3”x 24”x 12” base. 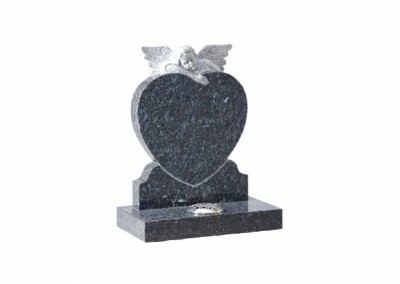 Blue Pearl granite with hand carved angel on heart. Headstone available in 24” x 21”x 5” with a 3x 24”x 12” base. Carnation granite with hand carved ‘Madonna and Child’ ornament. Headstone available in 22” x 16”x 4” with a 3x 18”x 12” base. 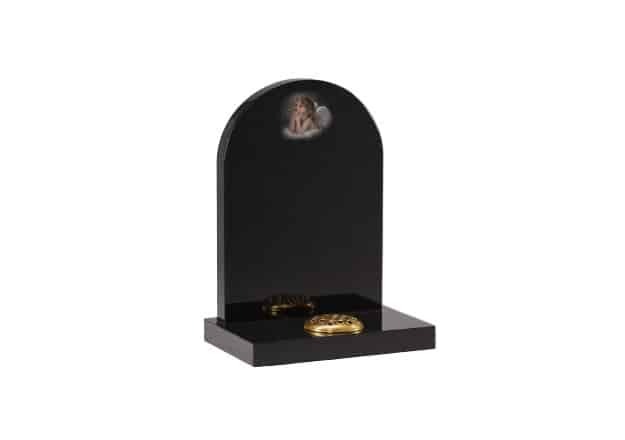 Black granite with ‘cherub’ hand shadow punched ornament. 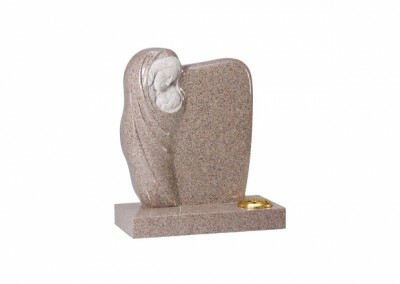 Headstone available in 24” x 16”x 4” with a 3x 18”x 12” base. Black granite with hand carved angel. Headstone available in 18” x 22”x 3” with a 3x 24”x 12” base. 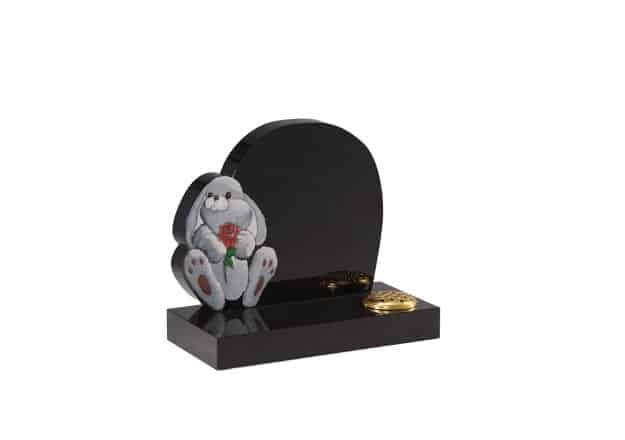 Black granite with ‘rabbit and rose’ ornament. Tablet available in 12” x 18”x 2” with a 2x 20”x 14” base and 10 x 9/6 x 6″ Vase Rest. 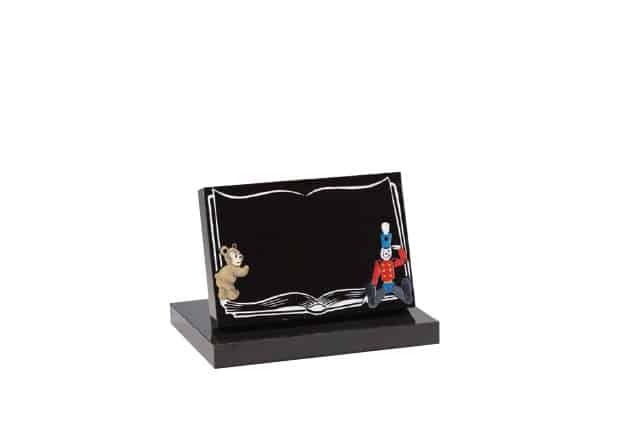 Black granite with ‘bear and soldier’ ornament. Any character can be added. 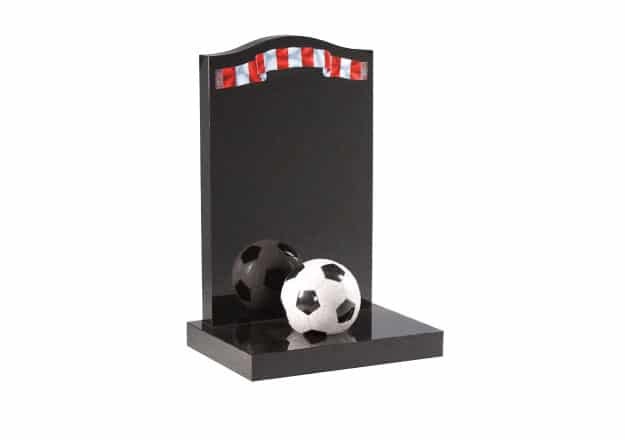 Headstone available in 33” x 21”x 3” with a 3x 24”x 18” base and Football 9″ diameter. Black granite with hand painted ‘scarf’ design on top. 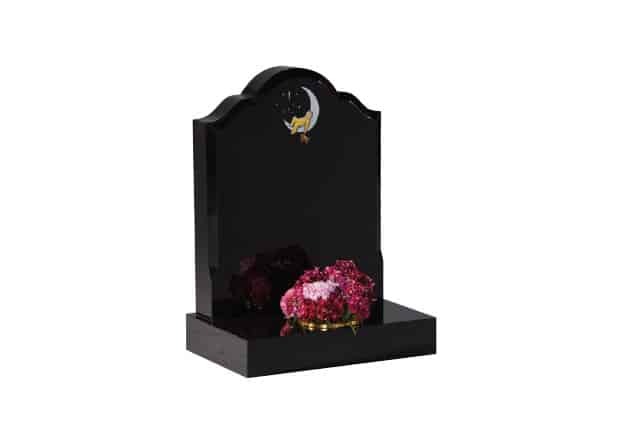 Headstone available in 21” x 17”x 3” with a 3x 18”x 12” base. Black granite with hand painted ‘baby in moon’ design with moulded edge. 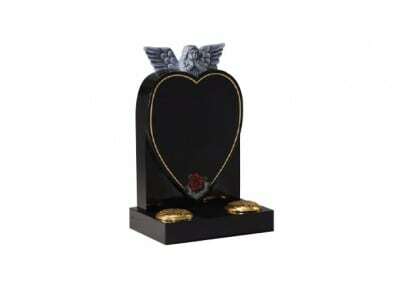 Headstone available in 21” x 17”x 3” with a 3x 18”x 12” base. 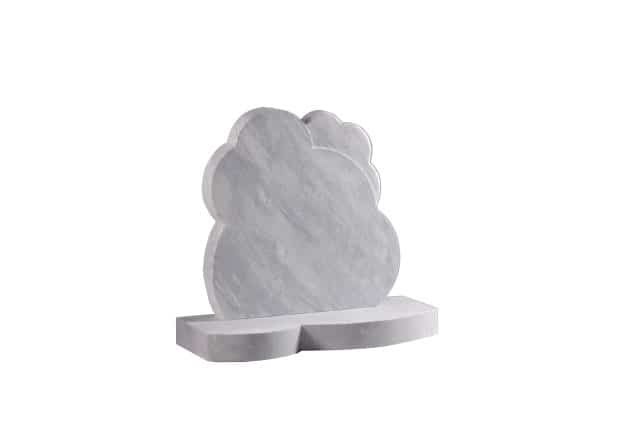 Dove Grey granite cloud memorials with matching base. Headstone available in 27” x 21”x 3” with a 3x 24”x 12” base. 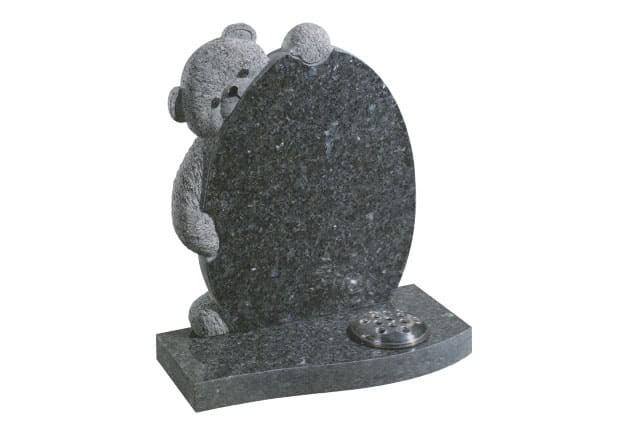 Blue pearl granite with hand carved teddy bear.